Even for those of us who aren’t typically the hugging type, the value of an enthusiastic hug cannot be understated. While Love Must Win has grown into something much bigger, one of its earliest activities was the simple act of showing love through a hug. 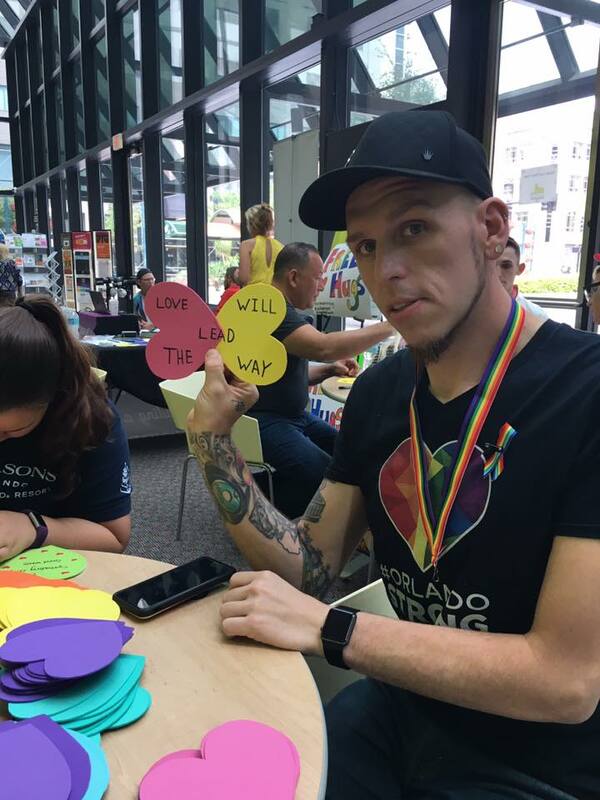 Following the Pulse Nightclub shooting, a group of Northern Kentuckians flew down to Orlando, loaded with hearts and hugs for the giving. The three co-founders, each having endured painful hardships, had come together in 2015 with the vision that love and acceptance of one’s self and others will help overcome hardships. Since then, in addition to sending hearts and hugs across the country where they are needed, the organization has grown as a sort of umbrella organization for programs that promote love for and acceptance of all. Each month, the group hosts a Safe Haven event at the Children’s Home of Northern Kentucky. Expert guest speakers are brought in to talk about different issues that youth, young adults, and adults experience- everything from financial planning to mental health, to relationships with church communities, and beyond. Love Must Win also offers workshops and other presentations for people of all ages and grade levels that promote love and acceptance. The small, volunteer-based team places great value on collaboration for its programming and events. Taking things a step further, Love Must Win has helped spearhead a new collaborative, Building Bridges, that acts as a safety net for the LGBTQ+ community. Still in its early stages, the group seeks to bring in not only LGBTQ+ neighbors and organizations, but those who do not directly identify as or work with LGBTQ+ communities. The group realizes the importance of uniting in order to build an environment of support and love for all. There is much more to learn about Love Must Win, so visit https://www.lovemustwin.org, and stay up-to-date with their latest news on Facebook, Instagram, and Twitter.